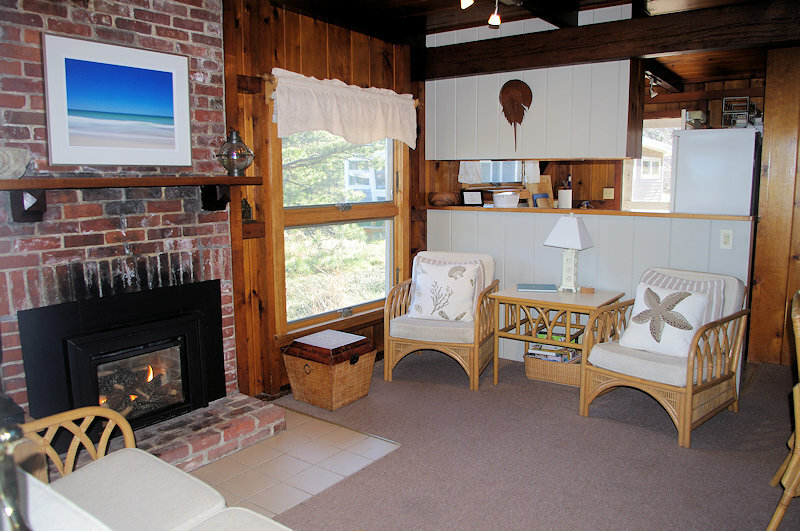 Cape Cod Vacation Home Rental by the sea. and free landline nationwide phone calls. Free calls to Canada too!. 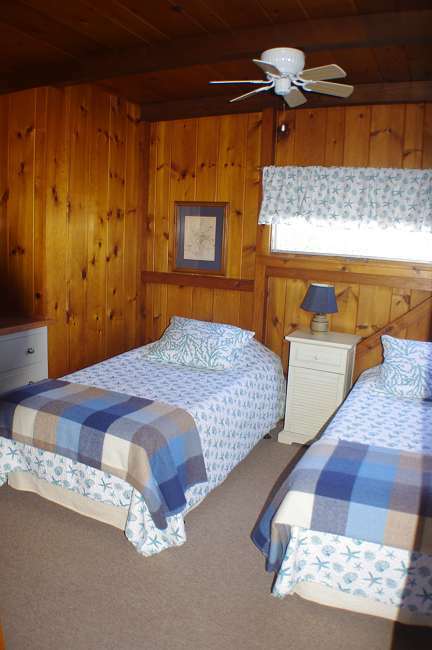 This two bedroom cottage is just 215 steps to the beach with nothing in between but sand dunes and dune grasses. 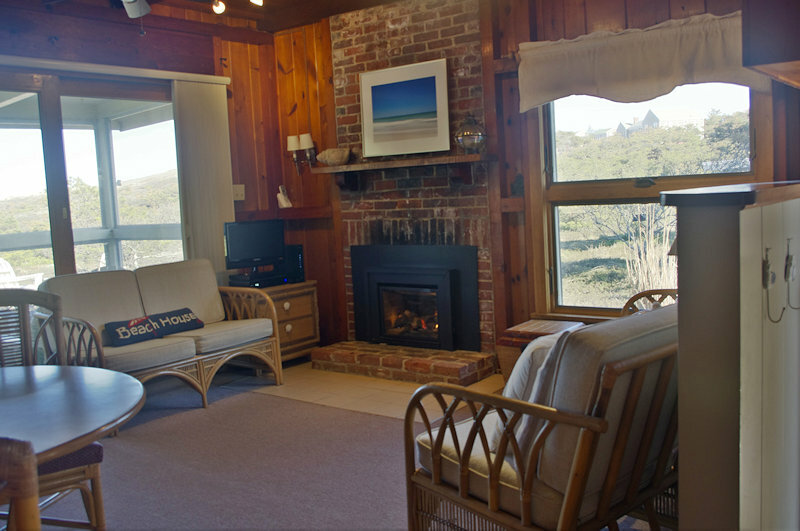 While it doesn't have a view of the ocean, it is one of our most popular vacation home rentals because it is so close to the ocean. 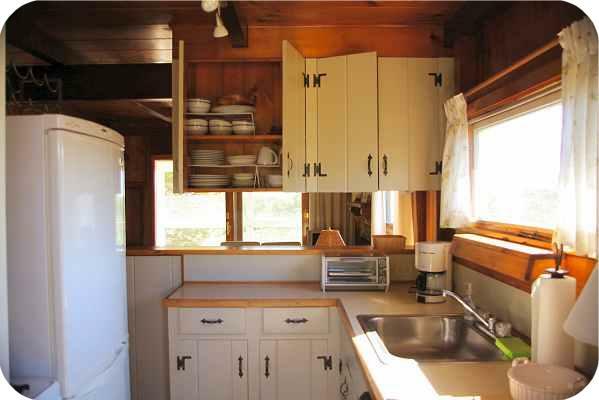 The interior rooms and ceilings of this cottage feature original thick-cut New Hampshire knotty pine paneling with a warm maple patina. The living room includes an antique brick fireplace with gas fireplace insert and cream tweed carpeting. The kitchen has new appliances and pine cabinets painted coastal mist gray. The bedrooms have two-paneled closet doors with pewter egg-shaped knobs and pine built-in dressers. Starfish-motif hardware trims the bathroom's vanity, while granite-image tile linoleum covers the floor. Stays for shorter than a week are sometimes possible in the Spring or Fall. Call or email us for details. To begin the reservation process, click on the "Reservation Request" button at the bottom of this page and complete the form at the bottom of the next page that appears. We will then contact you with the terms of your reservation. You will then need to reply to us again, agreeing to those terms, before we can hold the cottage for you. 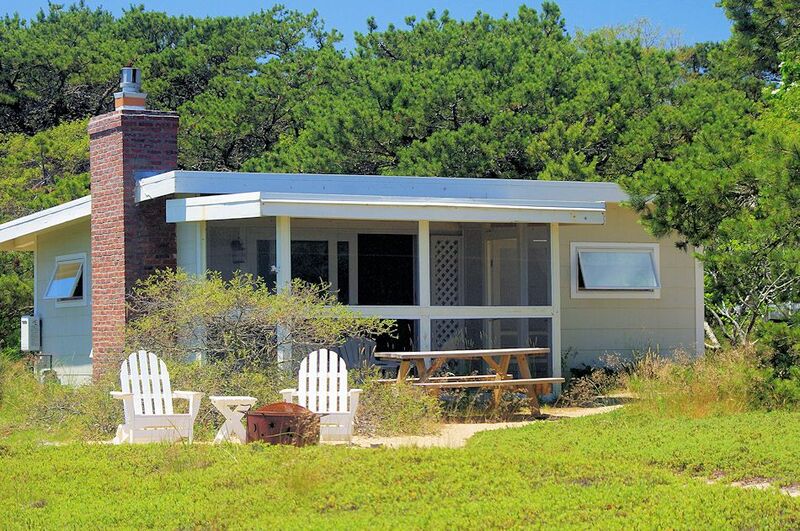 Ocean Breeze cottage sits in the sand so it feels like you are always at the beach! It is located at the end of an unpaved, dead end drive off of Ocean View Drive (very quiet). You cannot see the ocean from the cottage but it is just over the dune. The atmosphere of sea-reflected light, and waves tumbling on the nearby shore, are sensed inside and out. There is minimal ambient light at night which makes it feel like you can almost touch the stars. Sitting outdoors in the dark, by the firepit, you can listen to the sounds of the surf while the star speckled sky is regularly and silently illuminated to the south by the faint flash from Nauset Lighthouse in Eastham. 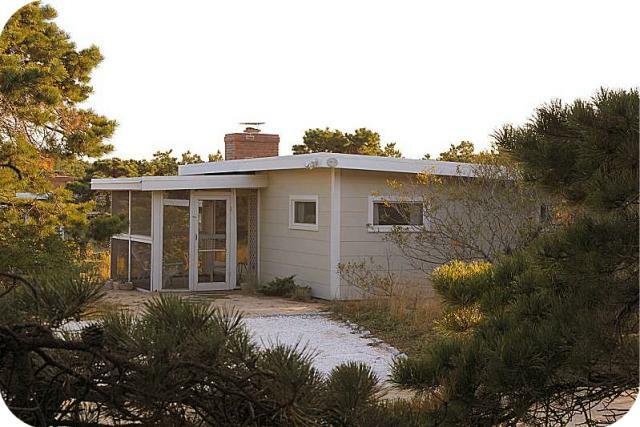 This is Cape Cod the way you dreamed it would be. 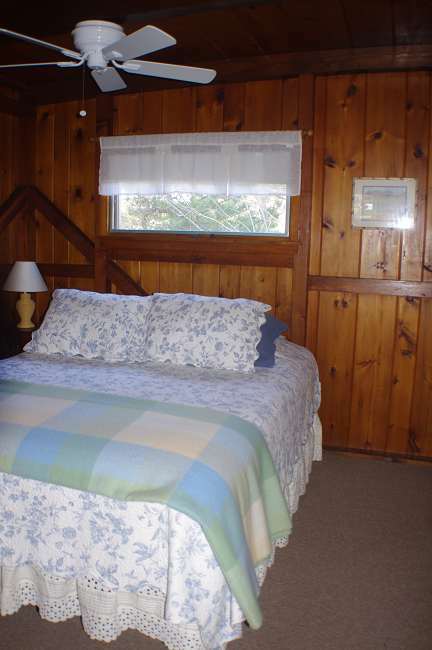 Ocean Breeze is a great cottage in a great location. But don't take our word for it. 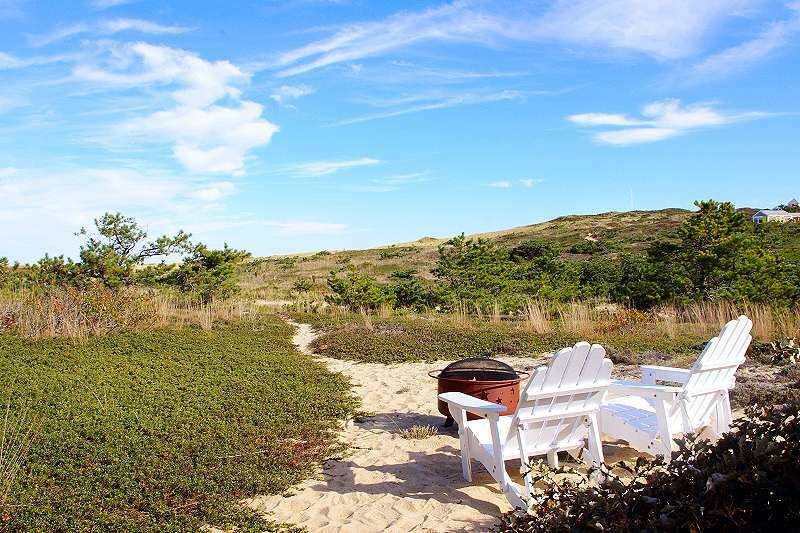 “Lovely place, definitely one of the nicest spots in Cape Cod! After reading this review, I emailed the guest to find out what the specific problems were. I was told the adjustable shower head only worked on one setting. The shower head has since been replaced with a new, fully functioning massage-type head. The guest also said that the fireplace didn't seem to have enough draft for a smoke-free fire. The indoor fireplace has since been fitted with a remote controlled gas fireplace with a glass screen. It is very easy to use and there is still the outdoors fire pit for those who want a wood fire.